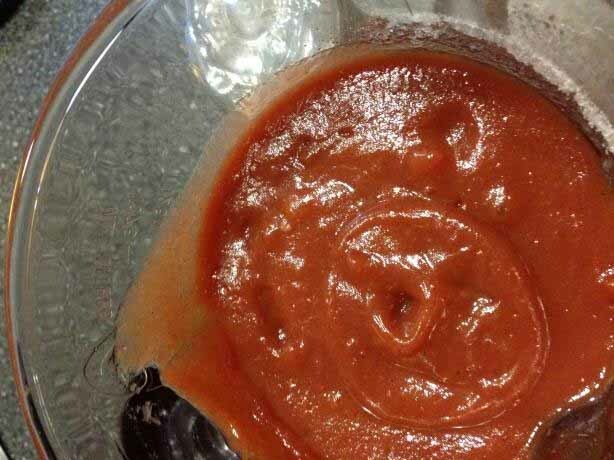 This may be a borderline recipe to include as part of this tomato free ketchup recipe contains brown sugar. However as I feel making this will be a treat then I see no harm in using some brown sugar in moderation. If you find that your suffer any set backs using the sugar then just leave out this ingredient next time out. Remember to always keep a food journal and if you find any adverse affects try and narrow it down, retest the culprit food and add it to your psoriasis foods to avoid list. Process all ingredients in a blender until smooth, about 30 seconds. Many thanks to food.com for the image and recipe idea.